In 2005, some members of the “German Absinth Guide” forum wanted to prove that high-quality Absinthe and Germany was not a contradiction. Around 15 different German "home-made" recipes were then submitted. The best of these was then chosen to be produced on a larger, commercial scale. But, then, a distillery needed to be found to make it in. Rudolf Wild of the Eichelberger Distillery has always been very open to new ideas and is a passionate promoter of high quality liqueurs. He did some experiments and was finally able to exactly reproduce the recipe from “Deep Forest” (the home-distiller chosen from the forum). We are very pleased to offer this unique example of craftsmanship, talent and commitment to international connoisseurs. Eichelberger doesn't wish to create something mass-produced, rather something small, very well-made, with excellent ingredients, un-sugared, and not artificially colored. What do we think? It's Great! 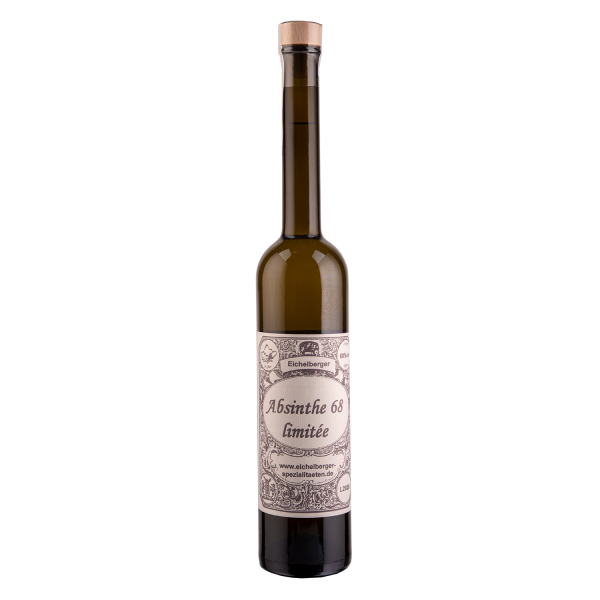 Related links to "Absinthe Eichelberger 68 Limitee"
Customer evaluation for "Absinthe Eichelberger 68 Limitee"